It's a Scrappy World: 4-1 Anything Goes at Catch the Bug with Bugaboo Stamps! 4-1 Anything Goes at Catch the Bug with Bugaboo Stamps! 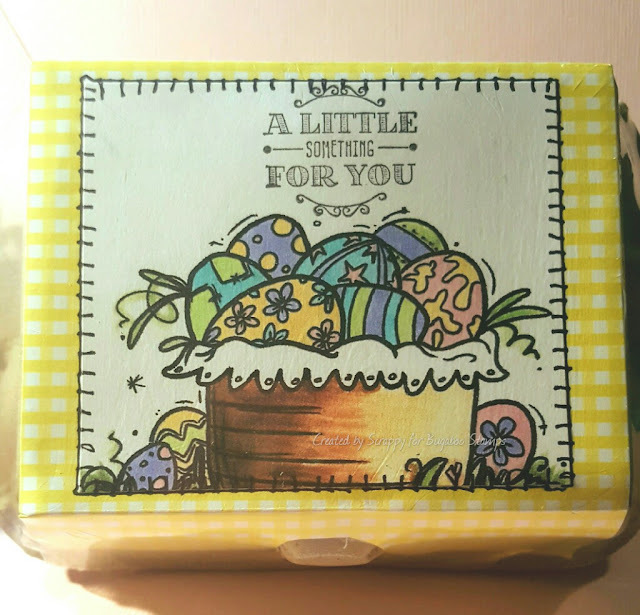 It's April first, and time for a new challenge at Catch the Bug with Bugaboo Stamps! This time it is everyone's favorite theme - Anything Goes! We hope you will play along with us HERE! 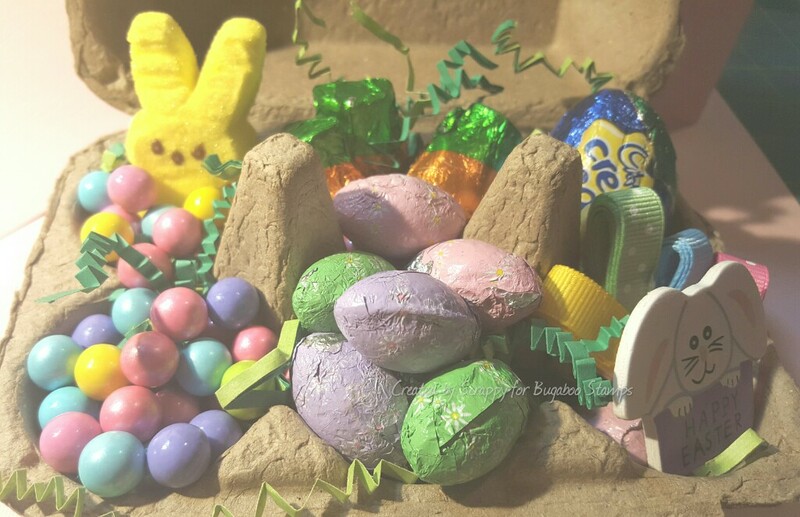 I used a sweet little digi of a basket of Easter Eggs to create the small egg cartons below. I made a bunch of these to give to my friends at a crop that I am going to. I hope my scrapping, crafty friends like them! This is super cool, great job, love the insides! Great job, and thanks for sharing with us at 4 Crafty Chicks. Very cute and I'm sure they will go down well at your crop! Thanks for sharing with us at Aud Sentiments and hope to see you again soon. 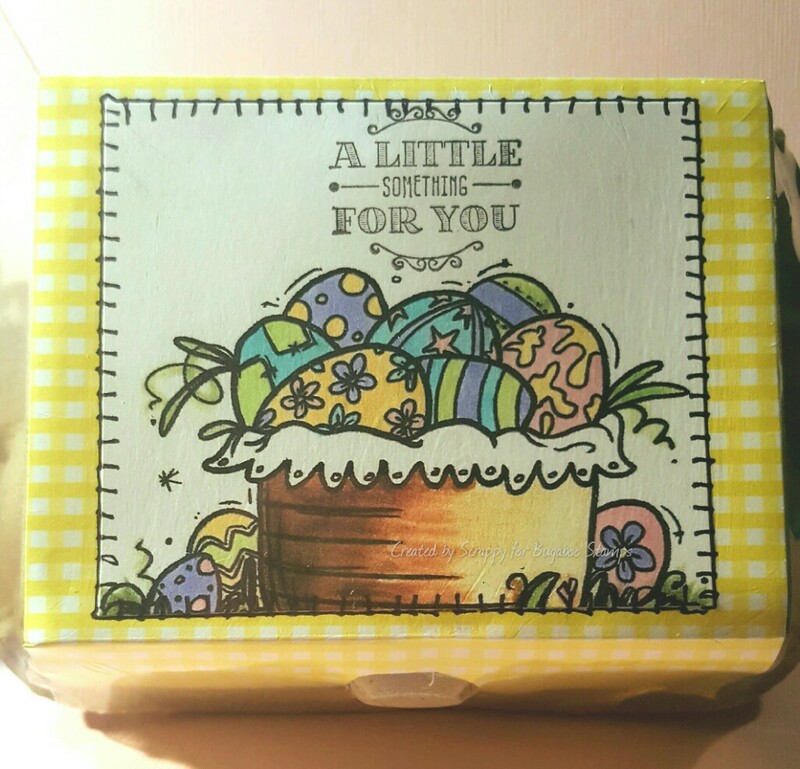 4-11 New Release day at Bugaboo Stamps!